On a recent layover in San Francisco International Airport, there was an exhibition on the history of radio and one of the companies featured was Remler Company Ltd, of San Francisco. The company traded from 1918 to 1988. A Scottie Dog (Scottish Terrier) featured as a brand motif on many of their radio models. Any of these radios, if you can afford them, would make an ideal ‘retro’ addition to a dog lover’s home. “These Republican leaders have not been content with attacks on me, or my wife, or on my sons. 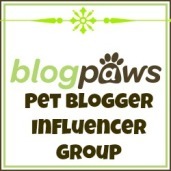 No, not content with that, they now include my little dog, Fala. Well, of course, I don’t resent attacks, and my family don’t resent attacks, but Fala does resent them. You know, Fala is Scotch, and being a Scottie, as soon as he learned that the Republican fiction writers in Congress and out had concocted a story that I’d left him behind on an Aleutian island and had sent a destroyer back to find him—at a cost to the taxpayers of two or three, or eight or twenty million dollars—his Scotch soul was furious. He has not been the same dog since. Background: During the 1944 presidential campaign, Republicans alleged that Mr Roosevelt had left his Scottie dog, Fala, behind in the Aleutian Islands and sent a U.S. destroyer to collect him (at taxpayers’ cost). President Roosevelt chose to respond during a speech to the International Teamsters Union. Lucy Dawson (1870-1854) was a British illustrator who was best known for her pen, ink and pastel drawings of dogs. Sporting breeds were a favorite subject, but she also painted other breeds and her work can be found on collectible items such as postcards and cake tins. Through used booksellers, you can still pick up copies of her illustrated books including Dogs As I See Them, Dogs Rough and Smooth and Lucy Dawson’s Dog Book. Original works periodically turn up at auctions, for those who are die-hard collectors. I particularly like how Ms Dawson was able to render the beautiful fur coats on the dogs she drew, a rare talent. My favourite Bush, Miss Beazley, passed away on Saturday after a battle with cancer. 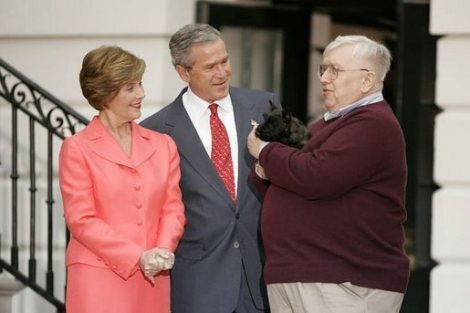 Miss Beazley, a Scottish Terrier, was a birthday gift from George W to his wife, Laura, in 2005. (She was born on October 28, 2004.) After leaving the White House, she lived with the Bushes in Dallas, Texas. My condolences to the Bush family. The passing of Miss Beazley means that Bo and Sunny Obama are the only living presidential pets. 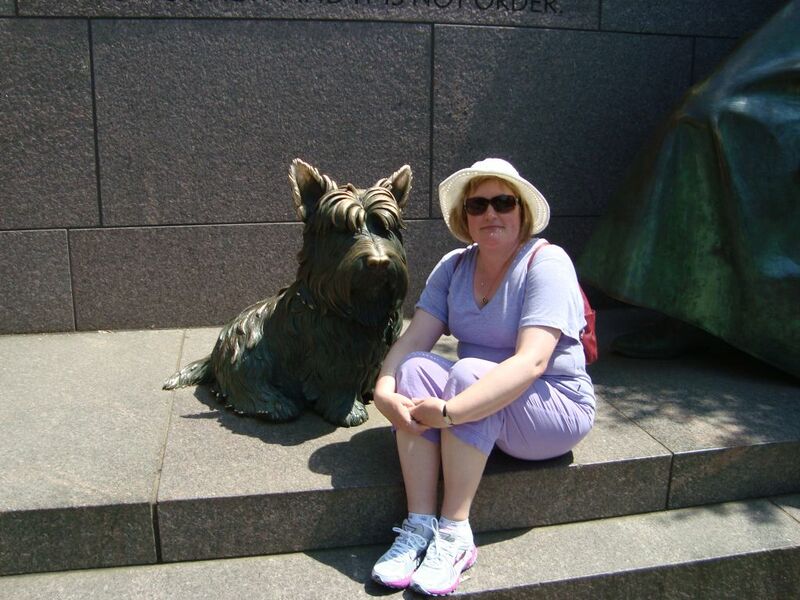 If you are visiting Washington, DC, one of the best memorials on the Mall is to commemorate the life and achievements of Franklin Delano Roosevelt (FDR). 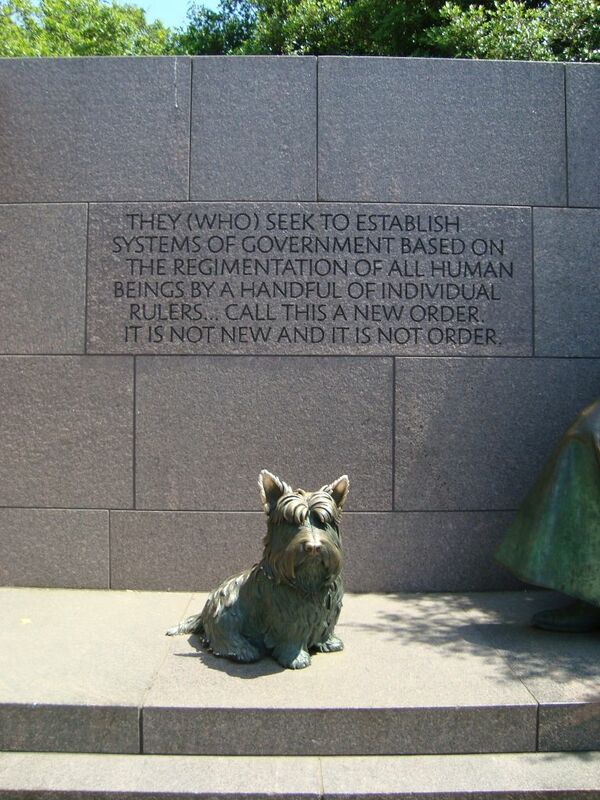 And one reason I liked this monument is that FDR’s dog, Fala, is also featured and this makes him unique – the only presidential dog that has been honoured in this way. Fala was often present during FDR’s fireside chats (via radio) to the US public. 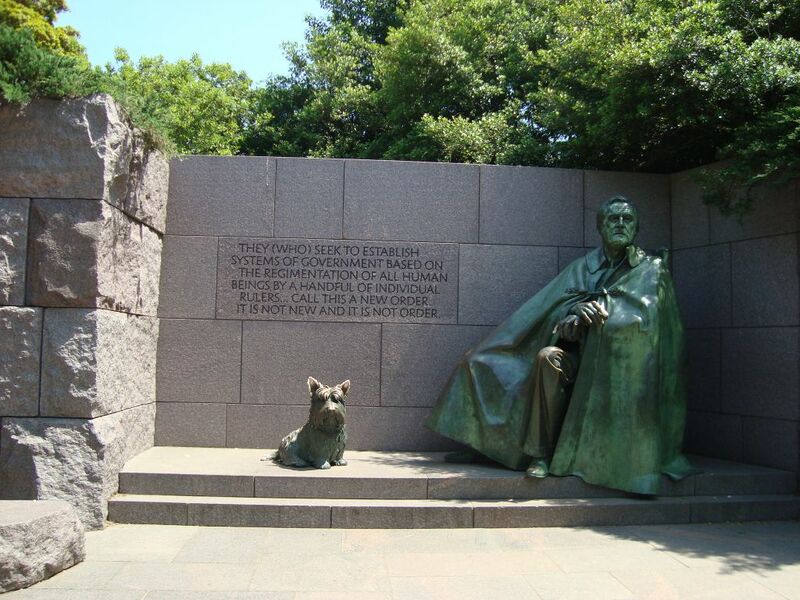 So, it makes sense that Fala is seen at the FDR memorial sitting at his master’s side. The Fala statue is quite large; this is me sitting next to it (for scale). The manufacturers of the Monopoly board game, Hasbro, announced this week that they would be replacing the iron token in the game with a cat, based on votes from the game’s fans. 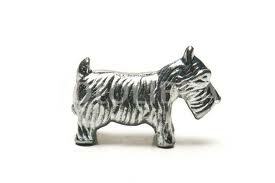 When we played Monopoly when I was a child, I always had to have the dog token (no surprises, there). So who is the dog on the Monopoly board? Well, no one is sure if it is a male or a female, but it is definitely a Scottish Terrier, or Scottie. 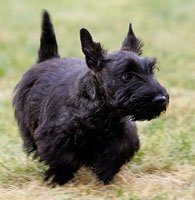 The Scottie was introduced as a token in the 1950s, although some history sources say that a small dog token made from rubber was included in the game in the 1930s. 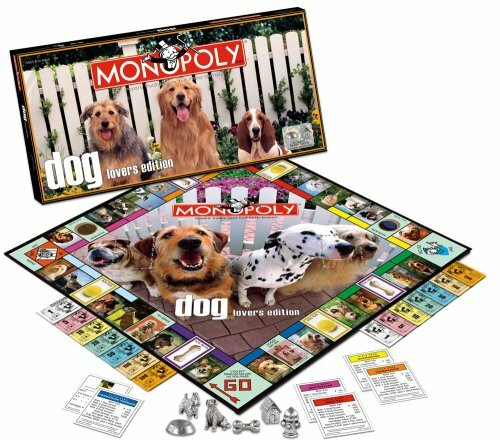 In this edition of the game, all of the tokens have a dog theme including a dog, bone, water/food bowl, dog house and fire hydrant.